One late afternoon, Kevin, the soft spoken 20-year old headmaster for the St. Luke's girls secondary school, spontaneously asked me if I wanted to visit the other primary school across the road, where up to 700 hundred students attend. We entered the school grounds and saw throngs of students congregating in hubs on the red dirt courtyard to socialize after a long day in class. It wasn't until we were on our way back that I paused to peek inside one of the classrooms. I gasped at the dire austerity. 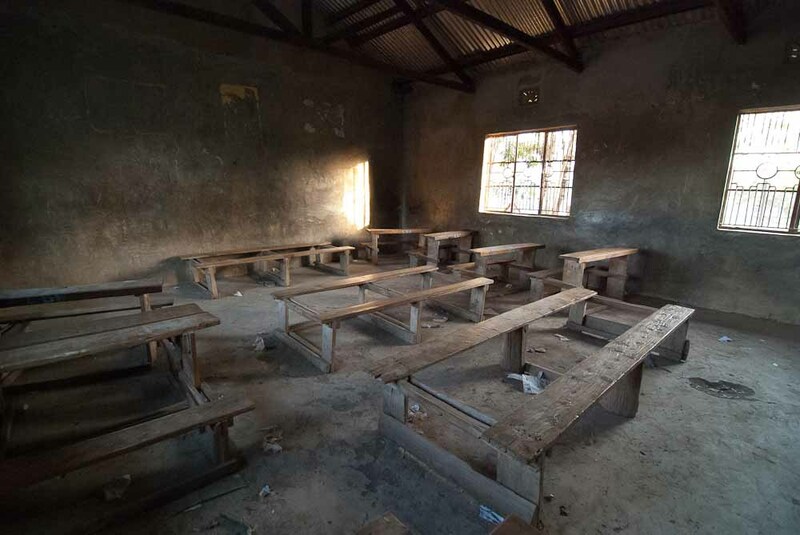 Yet, there is nothing relatively unusual or desperate about this classroom, since many classrooms in rural Kenya resemble it. As I learned, many children in this part of country love going to school.